Okay, let us look at a few of my favorites. 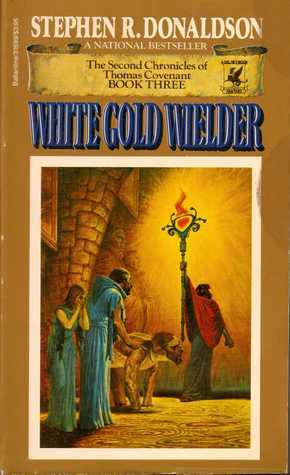 Whenever I think of fantasy High Priest the image of the na-Mhoram on the old school cover of White Gold Wielder comes to mind. Yeah, he is the one in the background holding up the weird staff of flames. 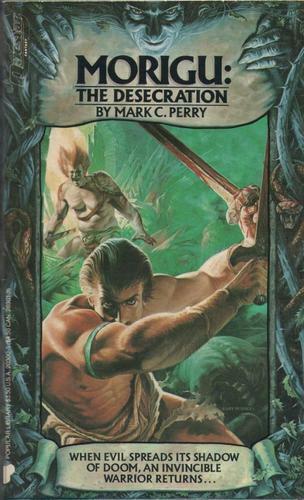 MORIGU: THE DESECRATION by MARK C. PERRY. Here I have my favorite high-priestess. That counts, right? Arianrood is the Ead, or in layman’s term “the First”, which means that she is the first child ever born of Mother Earth. Being both immortal and more powerful than any other creature upon the world, Arianrood fights to protect her weaker sibling from the evil powers as they rise and unleash death and destruction upon the world. After helping to raise the mortal Fealoth the Bright to godhood to fight the Beast, the Ead then becomes the high-priestess of his new religion and his prophetess, proclaiming the coming of the Golden Age when peace will reign forever. But behind Arianrood’s beauty and power, there lurks an invisible taint of . . . not evil, but weariness for the world, and its existence concerns the other great powers of the world, who fear that perhaps Fealoth was wrong! Twelve years have passed since the end of the Darwath Trilogy, and in the ancient Keep of Dare, two former Californians, Rudy Solis and Gil Patterson, have grown accustomed to their new lives as wizard and warrior and part of this small group of survivors of the Dark. But in the last few years a new Ice Age has begun in the world. One that is accompanied by “Slunch”, a near indestructible fungus, that is slowly choking out all the arable farmland and also seems to be the catalyst for mutant creatures. Naturally, the appearance of a seemingly all-powerful substance like “Slunch” results in a new religion growing up to worship it, and gradually Rudy and Gil begin to understand that not only are there people among them worshipping the slunch and its makers but that the religion has its own grotesque high priest hiding among them! 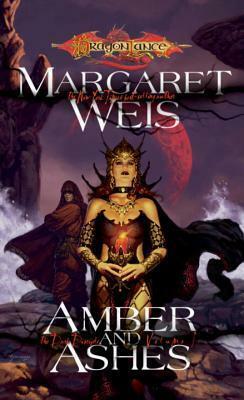 While I personally did not enjoy this series, it definitely revolved around a high priestess. 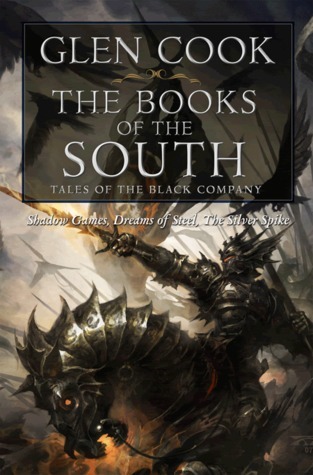 In this post-War of Souls series, Chemosh, Lord of Death comes down to earth and claims Mina (a character in the previous trilogy) as his own. Not only does Mina fall in love with Chemosh, but it appears that he also falls in love with her. Be that as it may, the Lord of Death still sends his new high priestess out into teh world to do his bidding and build for him a huge following, so that he can ultimately take over the world. Hey, I might not have liked it, but someone else might. This novel presents me with a fine dilemma, because it can be argued that two characters might be the High Priest(tess) of Kiva at various times. Narayan Singh is one of these people. As one of the last members of the Deceivers cult of the Goddess Kina, Goddess of Death, he has been tireless in his commitment to bringing his deity back into the world and definitely acts as an unnamed high priest of the cult. However, Lady is also being groomed for the position by Kiva herself, followed by the Deceivers, and is portrayed as the cult’s high priestess in all but name. So who should I put on the list? Naturally, I have my guess as to who is the “real” high priest of Kiva, but either way, I’ve decided to include both of them here, since they are both worthy of being included on this list. 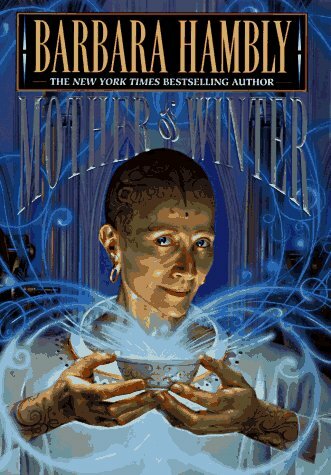 This entry was posted in Fantasy, Lists, Tough Traveling and tagged Barbara Hambly, Diana Wynne Jones, fantasy lists, Glen Cook, high priests in fantasy, margaret weis, Mark C. Perry, STEPHEN R. DONALDSON, Tough Traveling Thursday, tracy hickman. Bookmark the permalink. Well, you did really well! I haven’t heard any of these but well done to you for picking them out. I was terrible! Best group of covers in Tough Travels history? Maybe, it is very possible indeed. Heard of most of these authors, read some of them, but have not read any of these specific books. Nice job this week! Oh my, Barbara Hambly! What a blast from the past – I was super into her books in high school. I’m very intrigued by those Dragon Lance books, too. I haven’t heard of any of these even though I’m pretty active on goodreads. Great compilation, I added them to my to-read stack. 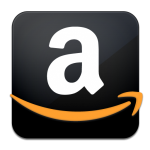 Great blog, btw, I’m a fan!